President Trump often tweets about the strength and health of the U.S. economy, and two weeks ago, he tweeted that the U.S. economy was the Gold Standard throughout the World. The fact that Trump capitalized the words “Gold Standard” may have piqued the interest of those who believe in sound money principles. Trump has in fact spoken in the past about a return to the Gold Standard, and some of the issues surrounding this are summarized in an October 2018 article: Trump Puts Gold Standard On The Table. A simple interpretation of Trump’s tweet means that the U.S. economy is the envy of the world, the benchmark by which other economies measure themselves. Nevertheless, Trump’s tweet can be viewed as valid in another way, whether this interpretation was intended or not. When the U.S. dollar was de-linked from the value of gold in 1971, the U.S. dollar and its economy became the Gold Standard. The U.S. dollar is the primary reserve currency throughout the world, and therefore almost everything bought or sold in the world has a reference point to the value of the dollar. The value of the dollar is related to the health of the U.S. economy, and the U.S. economy, absent a “real” gold standard, IS the monetary standard throughout the world. We are not suggesting that Trump will help navigate the world back to a Gold Standard, and any political, strategic or tactical discussions on that point are above our pay grade. In fact, we prefer to summarize our understanding of the gold market by way of two children’s stories. Everyone loves a good story. Good stories can give us hope and fill us with courage. Good stories can teach us what is “good” and what is “evil.” Good stories give us examples to follow and mistakes to avoid. Good stories resonate with us and even help frame our understanding of reality. Simple stories can the most entertaining ones, and great stories are replayed again and again in many different ways. A common, mistreated and honorable girl falls in love and marries the prince (i.e. Cinderella). The swashbuckling hero takes from the rich and gives to the poor (i.e. Robin Hood). The wayward and shame-stricken son finds his way to become the king of the jungle (i.e. The Lion King). 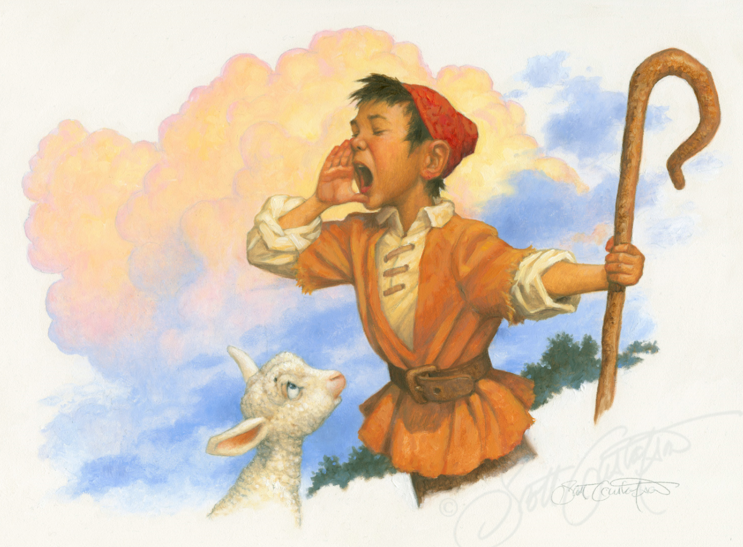 Two well-known fables that summarize our understanding the gold market: Rumpelstiltskin and The Boy Who Cried Wolf. 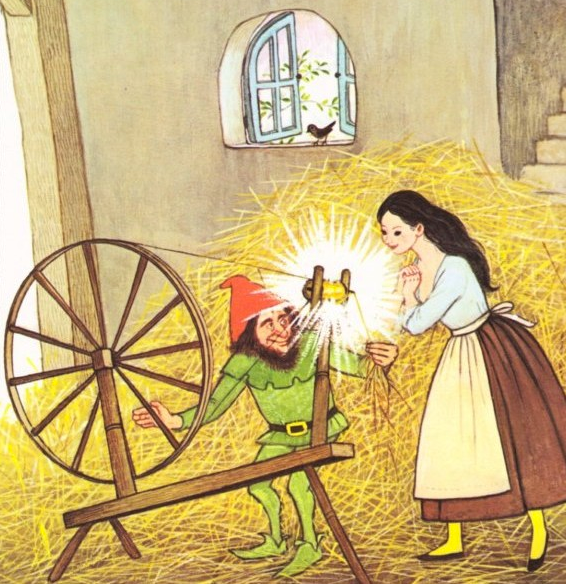 In the story of Rumpelstiltskin, a goblin-like creature appears to help a girl turn straw into gold for a king. The girl’s father had promised the king that the girl herself could accomplish this task. Her ultimate reward is marriage, but her punishment is death if she cannot. Rumpelstiltskin has increasing demands for the girl in exchange for his magical feat of doing what she could not – turning straw into gold. Without getting into the finer details, let’s take a step back and consider the power that someone would have if they could turn common straw into gold, whether they are a king, a girl or a goblin. If you could turn paper into gold, then money would literally grow on trees, just for you. It is not a stretch of the imagination to see that the turning-straw-into-gold ability exists for those who sell paper derivative gold of all kinds. A large amount of investors demand for gold exists primarily in paper or electronic forms – whether such demand is for gold-backed ETFs or gold futures contracts. The banks and brokers who satisfy this demand have a license to create “gold” from paper (or electronic promissory notes). Gold selling banks and brokers usually sell paper “gold” without necessarily acquiring more physical gold reserves. Spoken plainly – they often sell gold they do not have. It is easy to imagine how this scheme can distort price discovery in the gold market. The paper-derivative gold supply scheme is an accomplishment that should make even Rumpelstiltskin proud. This story is about a shepherd boy who repeatedly issues a false alarm to nearby villagers, claiming that wolves are attacking his flock. When a wolf actually does appear and the boy again calls for help, the villagers believe that it is another false alarm and the sheep are eaten by the wolf. There are many well-intentioned shepherd boys in the gold market (and some not so well-intentioned), who on regularly highlight problems with the worldwide monetary system. The “wolf” in this case might be characterized as a form of worldwide monetary reset, perhaps with physical gold as a benchmark, rather than the U.S. dollar. There is burgeoning and unsustainable debt creation worldwide. The U.S. dollar is losing ground as the benchmark reserve currency. There is increasing accumulation of physical gold reserves by central banks worldwide. The BRIC nations are creating payment systems to rival the U.S. dollar-based SWIFT payment system. There is indeed evidence that the wolf is on the prowl, and investors should consider how to protect their savings and long-term purchasing power. On the other hand, shepherd boys have been crying, “WOLF!” for over a decade since the 2008 financial crisis, and many investors have been misled – especially those who have bought paper-derivative gold on a DATE-CERTAIN-THIS-IS-THE-BIG-ONE panic. We believe that investors should seriously consider buying precious metals. But investors should also prudently assess whether they MUST ACT NOW when they do so. Here is the bottom line for the long-term: every major economy is printing more and more paper currency. The value of money, like any other commodity, rises and falls as the supply changes. As the money supply continues to increase over time, the value of gold relative to those currencies will increase over time. It is that simple. Here’s why we believe The Boy Who Cried Wolf metaphor is so appropriate. The wolf is coming. We don’t know when, why or how, but he is coming. It could be next month, or it could be many years from now. When he does come, it won’t matter whether you purchased gold at $1,200 or $1,500 per ounce. Either way, your purchasing power should be protected over the long run. Until the wolf does come – and even after he does – it might be prudent to purchase physical gold (or other precious metals) on a routine, dollar-cost-averaging basis, regardless of the headlines and whatever the shepherd boys are calling out this week.